NY City is one of the most diverse and competitive real estate markets in the world. We understand that making the decision to buy a home here can be a particularly overwhelming experience. From mastering the difference between condos and co-ops, to planning for closing costs, to approaching the board approval process, there’s a lot to learn. That’s why we’ve created this buyer’s guide — to set you on the right course to owning a New York City home of your own. From Getting Pre-Approved to the Closing Table. We have you covered. Here's Roadmap to purchasing in NY City. If you do not live or work in the United States, the buying process requires additional consideration. Mike & Marta are experienced in the extra steps needed for international buyers. Our guide helps make sure that you understand the process. Download our guide and give us a call. Did you know interest rates in the 1980s were almost 20%? THAT’S CRAZY. But they are below 4.5% today, which is much much better. We have lenders for you from all major banks. But we love Wells Fargo and recommend Scott Sullivan. NY City Real Estate sales are a big deal both financially and emotionally. This is where The Mike & Marta Team come in. We have you covered from this very moment until your final Closing. You just found your experts. We help Buyers endeavor to purchase in New York City. We work tirelessly get purchasers the absolute best deal possible. In this competitive market, often the deal is "the deal." We'll guide you through the process. Real Estate is all we do. And we love it! Let's discuss how we can help you over coffee. Compass is a Real Estate brokerage backed by state-of-the-art technology like Homes search apps and our real time Markets data apps. Compass is a company valued at $2.2 Billion as of December 8th* Your guide to finding a home you’ll love, Compass Real Estate combines best-in-class technology with exceptional real estate agents to make your search for homes smart and seamless. Enjoy the convenience of picking up where you you left off -- no matter where you are. Introducing Collections - real estate's only visual workspace. Discover a more streamlined way to find a home you love. 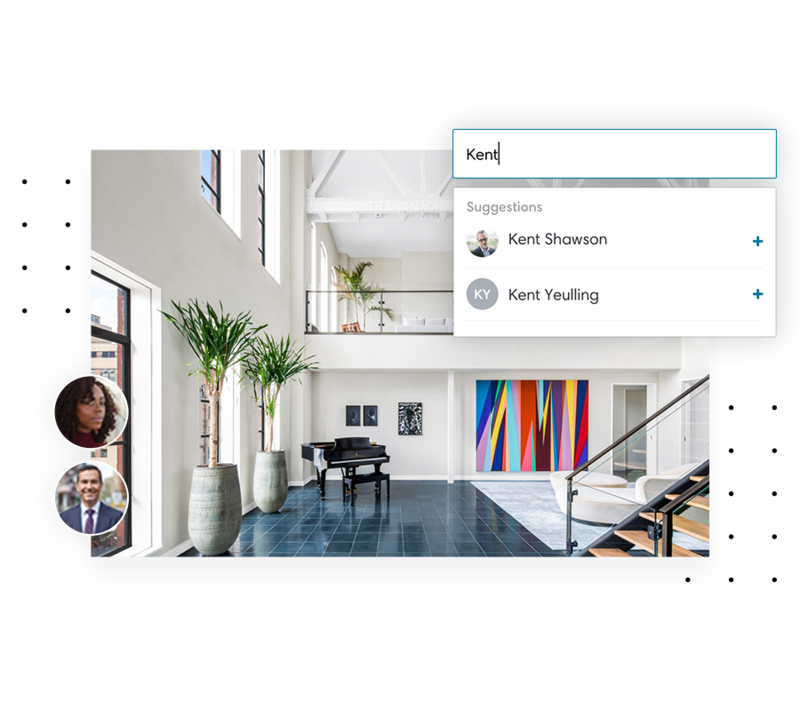 Collections is a simpler visual search for collaboration between agents and clients. Collections is the first tool in the marketplace that combines technology with human experience. Keep track of the homes you like and save them in one place. Invite your spouse, parents, or friends to join your search. Share comments about the homes so all communication is centralized. Receive automated price and status updates about the homes in real time. Collections is a curated visual workspace where we can easily organize the homes you want to see and discuss them together. Knowledge is power. With Compass Markets, homeowners, buyers, and agents can build market-specific reports and get real-time information on the go to provide answers to real estate’s most difficult questions. Send us your ZIP code to discover real-time insights for your area. Compass features best-in-class technology for Buyers and Sellers in the real estate market. Compass offers real time market data to better understand the driving forces of real estate. This tech empowers agents as well as buyers and sellers keep our fingers on the pulse of the real estate market. Real estate market data in real-time. First in class market data at your fingertips. Knowledge is power. Being able to access the smartest and most relevant real estate data at just the right time is critical to home sellers and buyers. With Compass Markets, homeowners and agents can build market-specific reports and get real-time information on the go to provide answers to real estate’s most difficult questions.